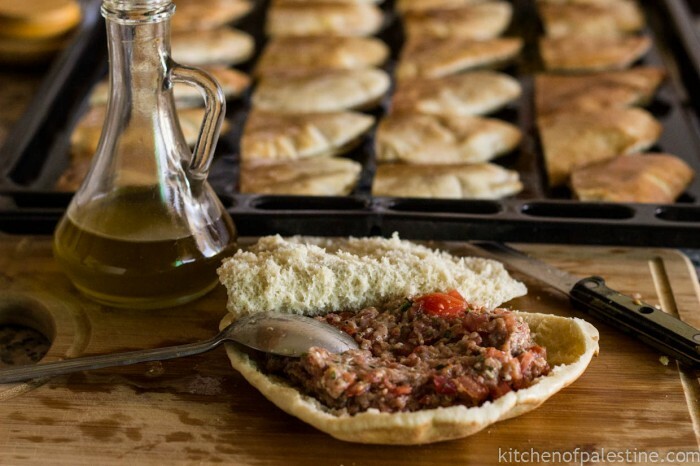 Arayes are pita bread sandwiches stuffed with minced lamb meat, tomato, onion and different spices. Although it’s a popular market and restaurant food in the Levant region, Arayes are ideal choice for barbecue and cookouts. And also can be easily prepared in house. Baked, grilled or even toasted, it doesn’t matter as long as they are crispy outside and juicy inside. 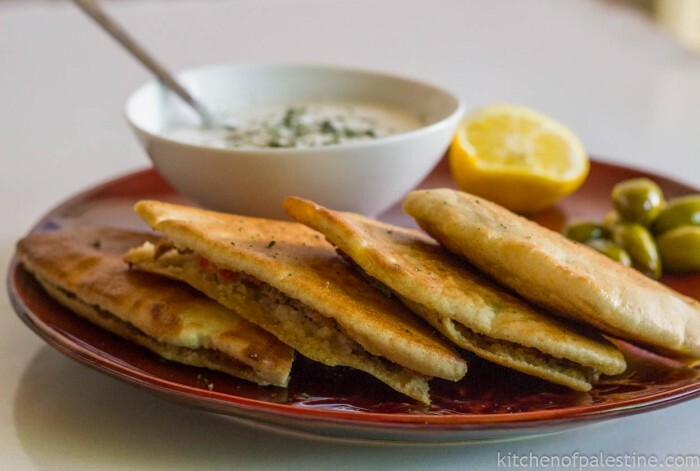 Arayes are preferably eaten fresh from the oven/grill with fresh yogurt and pickled green olives. The word Arous (singular of Arayes) was commonly used in the region to refer to all kind of sandwiches, nowadays it precisely refers to this kind of sandwiches. Oddly enough, it means “bride”, I don’t know whats the history or the logic behind it. “Because it is as beautiful.” my brother tried to explain! I’ve tried a few Arayes recipes before I’ve got the best one from our butcher (which I’m sharing of course). It suggests more tomato, more tomato juice and thick pita bread loaves. Place meat, tomatoes (with their juice unless you use thin pita bread), onion, parsley, 1 tablespoon of olive oil, cinnamon, red pepper, pomegranate molasses, all spice, black pepper and salt into a medium bowl. Mix all ingredients very well. Spread 2 to 3 tablespoon of the mixture into each pita loaf (right before baking to get crispy Arayes). Grease both sides of each loaf with about 1 to 2 tablespoon of olive oil. And then cut it into quarters. Arrange Arayes in oven tray and bake them in a preheated oven on a low temperature (160c) until they become slightly brown or golden. Flip them to the other side for more crispness. 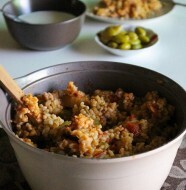 Serve hot with fresh Greek yogurt and green olives. 30 Comments on "Pita Stuffed with Meat (Arayes)"
Or possibly because sandwiches are usually wrapped in white paper, hence the word arous? yummy classic..Always loved this , but who doesnt right!…spiced aromatic juicy meat enveloped in crispy golden pita..heard the name comes from the marriage of the bread and meat.. the white bread is the bride..
Made these at the weekend and they were fabulous. Thank you for the recipe! Sad to see such a promising blog die. There are so many other great recipes to be shared. 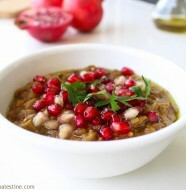 Does anyone know another good Palestine (or other arabic) food blog? Can i use minced beef instead? 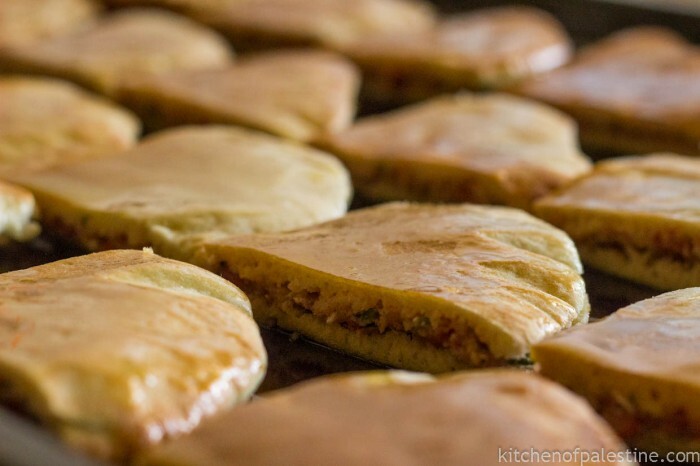 Lamb mince is particularly good for Arayes and other BBQ middle-eastern recipes because it’s more fatty than minced beef, But defiantly you can use minced beef as a substitute. Enjoy cooking! Hi, looks like a great recipe. Do you cook the lamb before putting it in the pita and then in the oven, or do you let it cook while the pita browns in the oven? There is no country called palestine. 1. of course, there is a Palestine which is the whole point of these recipes. 2. 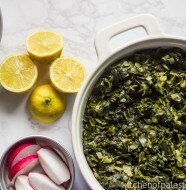 EVERY SINGLE recipe I have made from here is absolutely delicious! 3. Thank you for keeping this online -great work, Eman! My family is Palestinian and most live in Amman too (Abu-Judom).